There has been much debate surrounding the introduction of VAR, with the new technology being tested across a number of competitions including Serie A, FA Cup and the Confederations Cup. FIFA President Gianni Infantino described the technology as “almost perfect” but fans of the Australian A-League are just some of those who remain currently unconvinced. The technology is used to adjudicate on a number of decisions including offside goals, mistaken identity when issuing a card and penalties. However, it’s the tech’s gradual implementation has divided opinion among players, managers and fans. The process of waiting for the footage to be reviewed has been seen to cause unnecessary delays. A number of high-profile games including Spurs vs Rochdale in the FA Cup have already been littered with VAR controversies. Many fear it could cause irreparable damage at the 2018 World Cup. 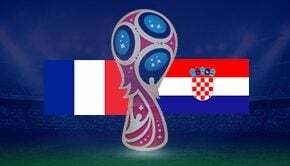 A vote from the IFAB was described as “unanimous” with FIFA suggesting that it will help eliminate the possibility of the tournament potentially being decided by human error. Jonathan Ford of the Welsh FA said that he was initially “sceptical” about the technology but after seeing VAR in action, he is now convinced that it can improve the game significantly. 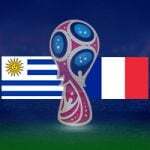 Ticket requests for the World Cup have topped eight million but many fans have raised concerns that the introduction of VAR will cause unnecessary delays to the action and detracts from the enjoyment of the game. The wait and disruption to the game will also cause problems for online bookmakers with in-play betting markets potentially suspended for up to five minutes until the correct outcome is determined. Punters are likely to become frustrated if they cannot place an in-play bet for an extended amount of time. This could discourage further wagering throughout the remainder of the match. With a huge number of pre-match markets also set to be available throughout Russia 2018, VAR decisions are likely to affect card and penalty markets. Overturned decisions could potentially cause problems, confusion and disputes in markets such as “penalty to be awarded” or “card to be shown”, especially if these are rescinded following a VAR consultation. VAR has been tested across 1000 matches and results have shown a notable increase in the accuracy of refereeing decisions. It’s been announced that there has been a 6% improvement since the introduction of the technology, with figures rising from 93% up to 99%. Gianni Infantino suggested that “VAR gets us closer to perfection” before later adding “It can only improve the fairness of the game”.